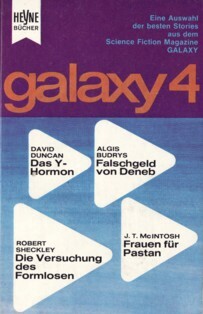 "Printed in Germany 1965" is stated on the copyright page. The last page of "Die Antwort von den Sternen" is not numbered. No price stated, taken as identical with the surrounding Heyne paperbacks. Month of publication from Terra 432.